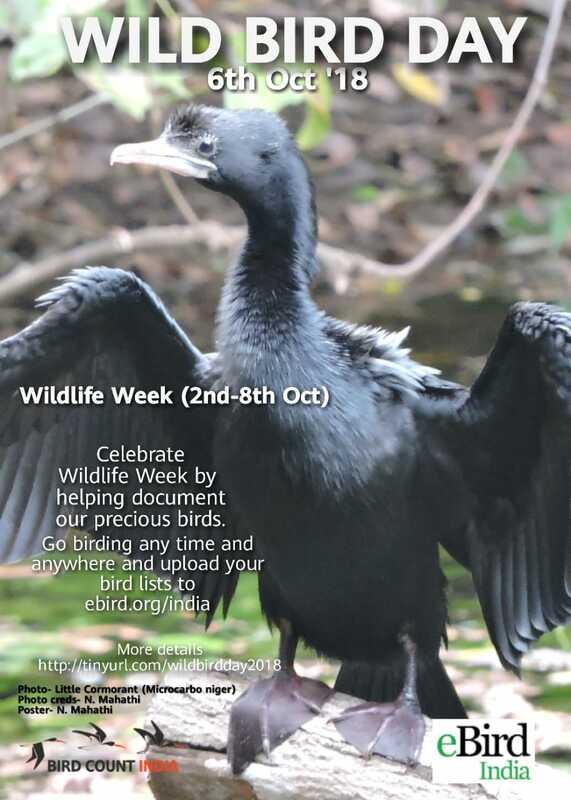 Wildlife Week is celebrated in India every year between 2 and 8 October. 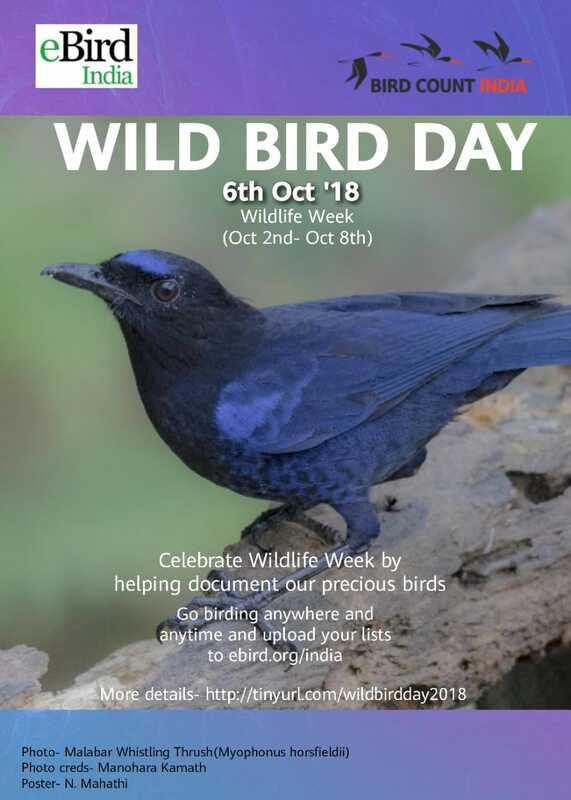 In addition to the talks, filmshows, painting competitions and other activities, here is chance to help document and monitor part of our precious natural heritage. 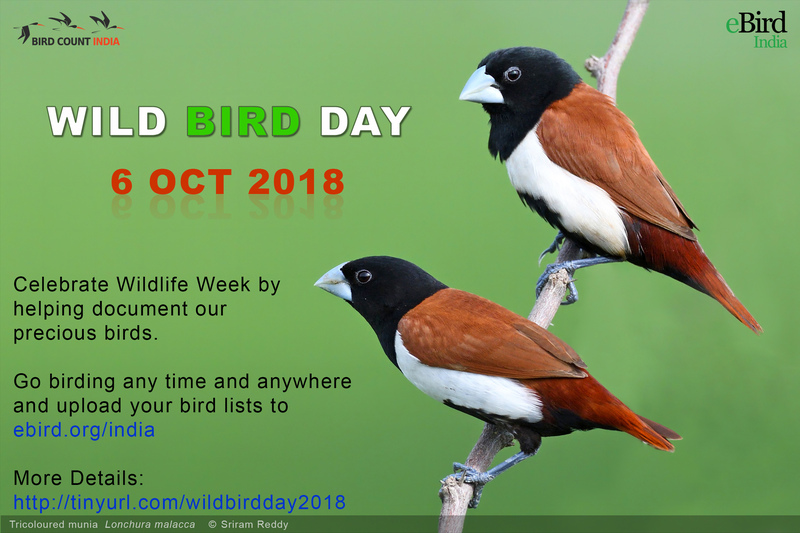 In 2018, mark Wildlife Week by going out and counting birds on WILD BIRD DAY! Go birding at your home, in your neighbourhood, at a local forest or wetland — anywhere that is convenient! Make a note of all the birds you see and hear, and count the numbers of each species. 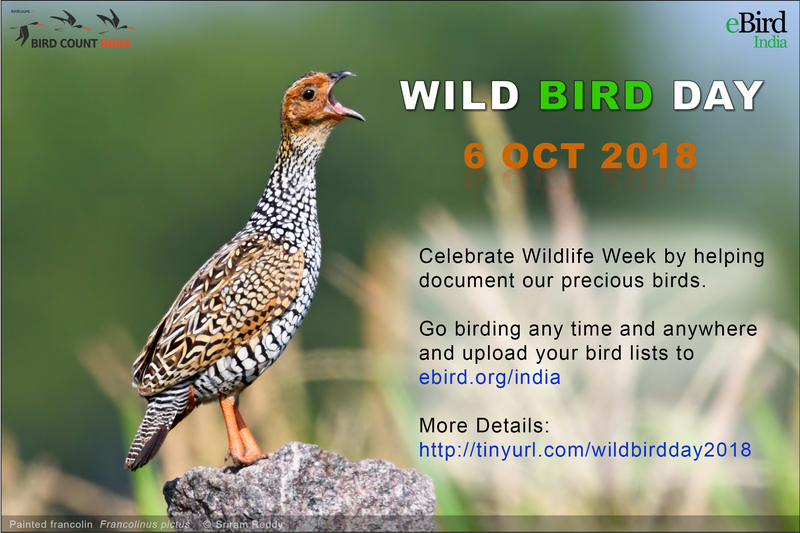 Upload your list to eBird-India. Repeat as often as convenient through the day. 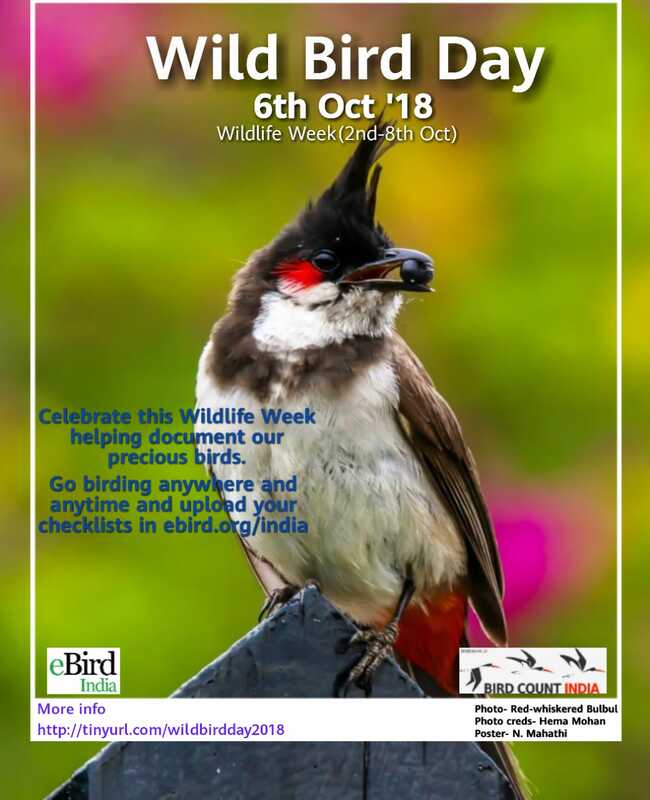 With hundreds of birders throughout the country doing this together, a snapshot of Indian birds in Autumn will be built up; and this can be compared year after year to track changes in our birdlife. 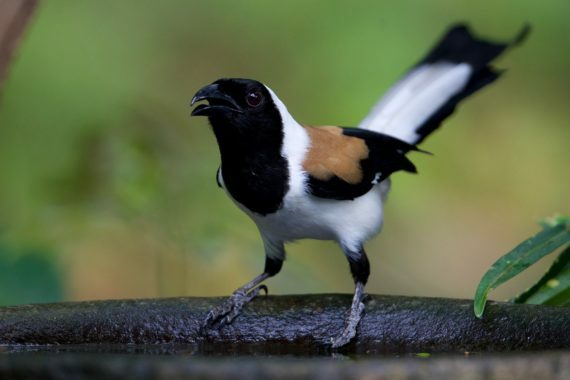 Go birding in a group and share your lists with those who accompanied you. 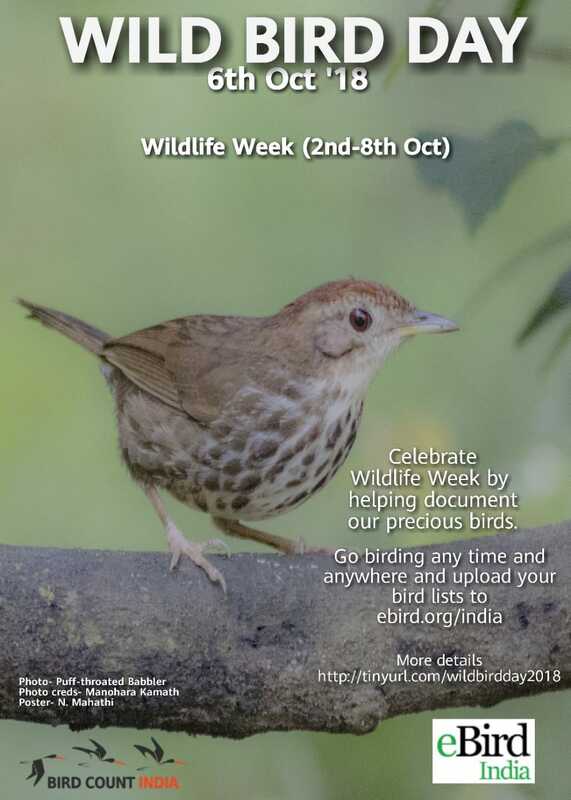 Try to include a few non-birders (including children) in your plans and show them the joy of birds! 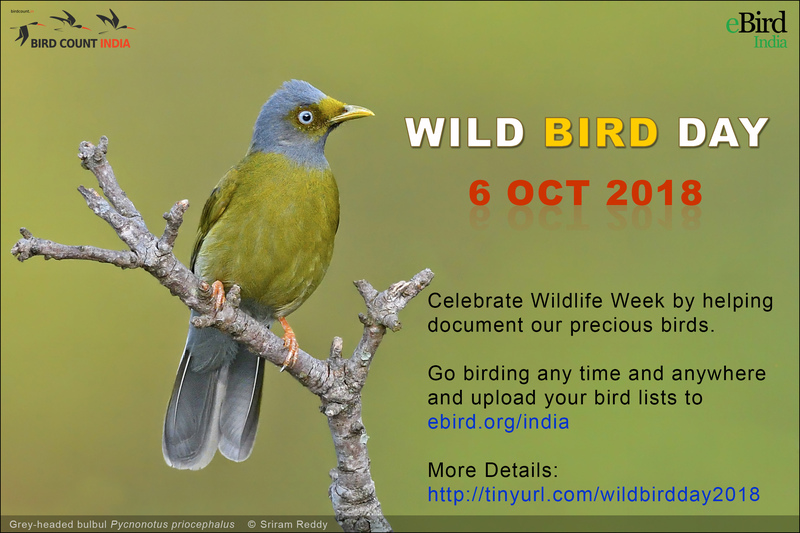 Consider using the occasion to lead a birdwalk in your neighbourhood, or do an illustrated talk. Help let others know about this event and encourage them to participate. Use any or all of the posters here to send to your friends/groups via WhatsApp, Facebook, Twitter, etc. 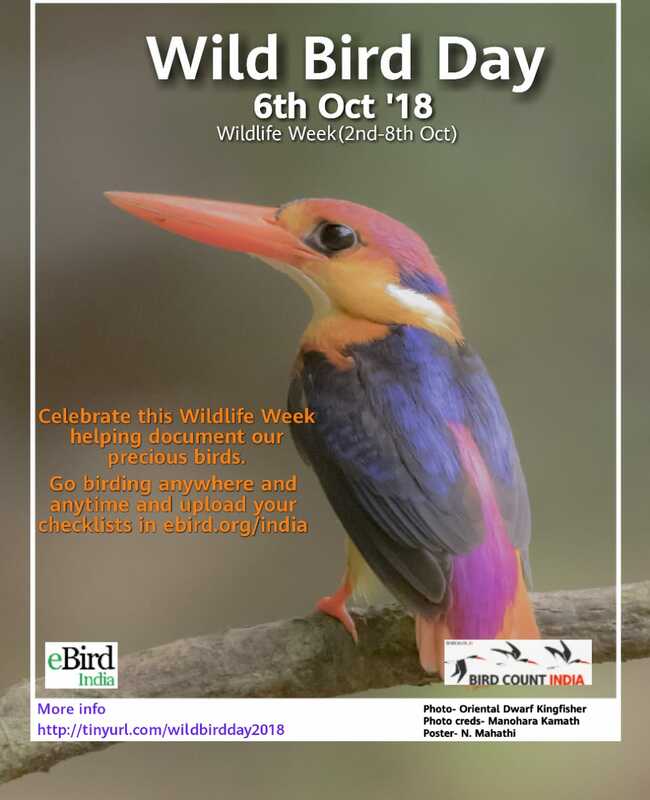 You can also join the Facebook event page for Wild Bird Day. 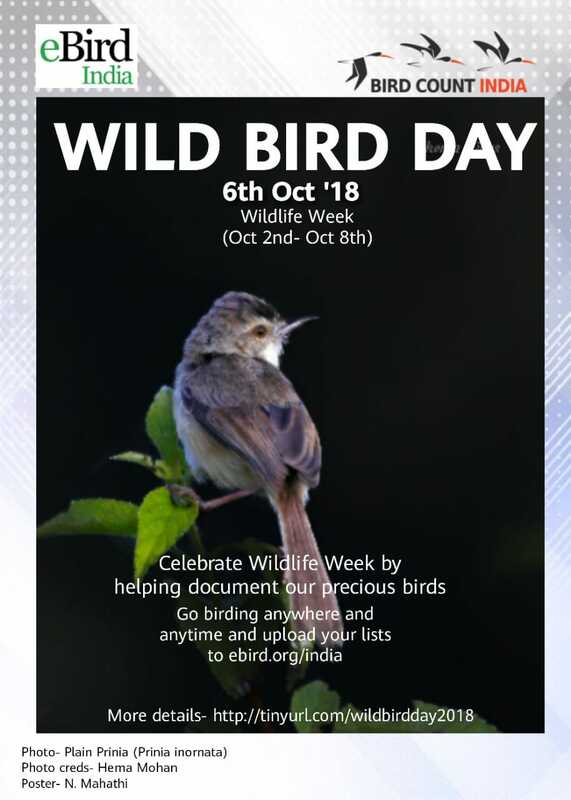 Wild Bird Count in India is being conducted in parallel with October Big Day, which is being marked in many countries worldwide. Do see what is being planned in other countries!